[By Nick] Happy First Day of Fall, everyone!‎ Oh how I love Fall. It's by far my favorite season. Not just because of the cooler weather, Halloween or even the fact that my birthday happens to fall in Fall (see what I did there? I'm a tool). It's all the seasonal products that are gracing the shelves as we speak. From Pumpkin Pie Pop-Tarts to all the varieties of candy corn. I'd have no problem eating fall seasonal products year round. I mean, Monster Cereals are back! How can you start your morning without Count Chocula? The answer is you can't without it being sad and meaningless. Okay, well I just got side tracked really bad. I think I might be turning into Dubba. Please, send help. Now what was I supposed to be writing about? 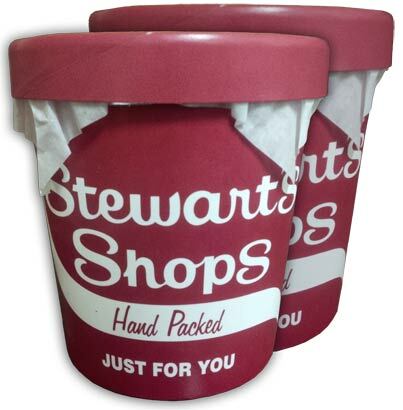 Oh yeah, Stewart's Fall Seasonal Ice Creams! Since pumpkin pie is everywhere, let's start with a flavor not all that common in the ice cream world which is a shame. It seems like a real oddity that there aren't more apple pie flavors out there during fall. Really, it's a classic dessert staple. No one should ever refuse apple pie, especially if there's an a la mode option. For those who aren't familiar with Stewart's, Philly Vanilla is just a vanilla bean ice cream. It's a nice vanilla bean base. Not too intense but it still let's you know it's not just some typical vanilla. 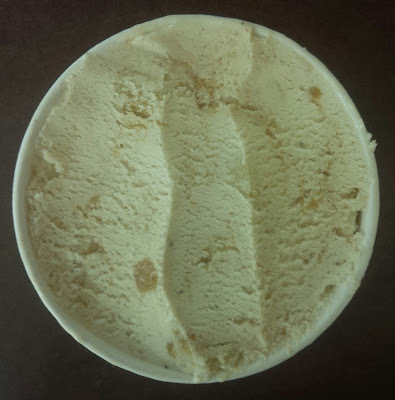 There aren't really any noticeable vanilla bean specks in the ice cream which makes me believe it was flavored more through artificial methods than just straight up using the bean. If so, the flavor doesn't taste artificial at all. The apple pieces are just that, chunks of apple. I'm a big fan of apples and these are up to my standard. They're amazingly fresh. Biting into a chunk is like biting into a freshly picked apple. The cinnamon creme swirl is interesting, in a very good way. I love cinnamon and this swirl is pure perfection. It doesn't really add much in the way of texture but the flavor is remarkable. It tastes like a milky cinnamon for lack of better term. Seriously, I've never encountered cinnamon like it. Maybe this is what white chocolate spiked with cinnamon would taste like. Whatever the case, it's delicious and brings the flavor together perfectly. I devoured this entire pint in no time and I have zero regrets about it. This is by far my favorite apple flavor I have ever tried, though granted there hasn't been too many on the market anyway. If you have a Stewart's nearby, you need to try this one. Okay, that apple pie just set the bar high. Time to move onto the more basic flavor. Yes, I just did that. 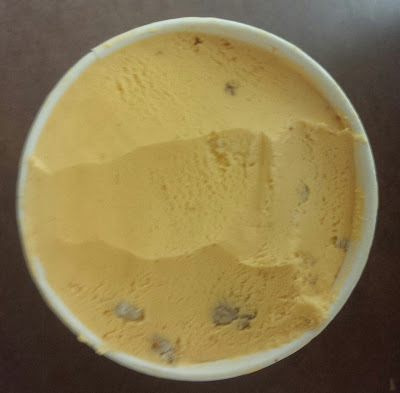 ‎Pumpkin flavored ice cream with graham cracker pie crust pieces. Pumpkin flavors are a dime a dozen nowadays. There's a slim amount of companies that don't have a pumpkin flavor out. Thankfully, I love pumpkin flavored products with a passion. My diet turns at least 50% pumpkin in the fall and then into the winter as well. Let's see if Stewart's has a shot at making it into my rotation. Honestly, i'm actually pretty excited to try this one because my girlfriend hyped it up to me. The ice cream looks orange, really orange. It actually looks like the color of a pumpkin which is always a good thing. Taking my first spoonful, I'm not too impressed. My girlfriend tried it as well and feels like they changed it this year. It's not bad by any means but with so many other options out there, I've had better. The base is more pumpkin spice than actual pumpkin which is a shame. The cinnamon is the most dominant of the spices with some ginger and clove making themselves known. It's tasty for sure but I wish the pumpkin flavor stood out more. The graham cracker pie crust pieces are the same as in Happy Camper and I love them just as much as I did then. Full of graham flavor and as crunchy as can be. The graham is actually able to shine through all the spices and that surprised me. Combined, this is one of the better pumpkin flavors on the market and if my memory suits me, it might be in my Top Five. If you're curious, it goes: Talenti Pumpkin Pie, Homemade Brand Pumpkin Pie, Ben & Jerry's Pumpkin Cheesecake, Turkey Hill Pumpkin Pie and then Stewart's. ‎It's respectable but if you're looking for a seasonal fix at Stewart's, go with the apple pie.